Expert European means confidence. Whether you drive a luxury Mercedes Benz, a classy BMW or a fun Mini Cooper. Certified Master Technicians Allen and Ralph know European vehicles from top to bottom. Also, your European car will always get a thorough courtesy inspection. In addition, we have the skill and over 2 years of experience. Keeping your pride and joy running safely down the road. European automotive drivers love their cars because of their luxurious style and world-class engineering. First of all, you count on your German vehicle to provide you with safety and reliability. A & R German Motors is dedicated to providing expert European automotive repairs right here in Hermosa Beach. 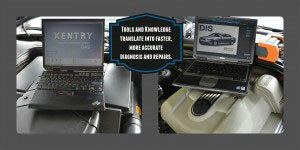 As you would expect, knowledge translates into faster, more accurate diagnosis and repairs. Our goal at A & R German Motors is to exceed your expectation with a full line of shop services. Have invested in the factory service equipment to do so. Furthermore, as an Expert European repair shop, we'll inspect, diagnose and repair. Whatever problem you might experience on your Mercedes, BMW or Mini Cooper. Check engine light to the airbags. Brake or electrical system. Timing belts, oil leaks, transmissions to shocks, struts, and more. In addition, we provide the professional high-quality service you're looking for. You will appreciate our safety-first approach when it comes to the maintenance and repair of your automotive investment. Finally, never will we recommend or perform an unneeded service. That's knowledge and integrity. Your European automobile has been built to the finest detail. The details are not overlooked here. Also, we take pride in the quality of service. Give us a call at A & R German Motors. We will show you the reason that our European driving customers keep coming back for all of their maintenance and repairs. See what our customers at A & R German Motors are saying. Many people take their automobile to their manufacturer's dealership to get their factory warranty services performed. But there is an excellent alternative available right here in Hermosa Beach! High quality, master technician factory maintenance services for Mercedes Benz, BMW, or Mini Cooper can also be found right here. In addition, we're able to maintain your warranty service requirements. Also, perform all of your automotive service and repairs. Our professional, affordable services are not a surprise to our loyal customers who return time and time again. Give us a call today and let us show you how A & R German Motors is your best dealership alternative. It is easy for car owners to overlook, (or procrastinate!). Routine preventive maintenance services will ensure your vehicle's performance. Furthermore, routine services are all part of an intricate preventive maintenance program needed to keep unforeseen problems at bay. Finally, these types of preventive measures help to keep minor, inexpensive problems from growing into major, expensive problems. See all of our services here. You probably pamper your Mercedes Benz - or your BMW - or your Mini Cooper. Why not expect the same type of pampering from the facility that performs maintenance and repairs on your vehicle? No one pampers your European auto like A & R German Motors! Automotive electrical problems can be tricky to solve. First of all, when you experience automotive electrical problems, you want a repair shop that can perform electrical diagnosis repairs quickly and affordable. We pay attention to detail, have the patience and tenacity to track down any electrical problem you might encounter. Imported luxury vehicles like your BMW come with modern features. The electrical features on your BMW are designed with top-of-the-line components. These pinpoint electronics, navigation systems, and digital readouts are wonderfully convenient when they work properly, but these special features can require special care. Yes, we have the skills and expertise to make sure that all of the electronics in your German car are functioning properly. You drive a high-quality, precision European automobile, you need a high-quality Expert European maintenance and repair facility to maintain your investment. Come by A & R German Motors today or give us a call.